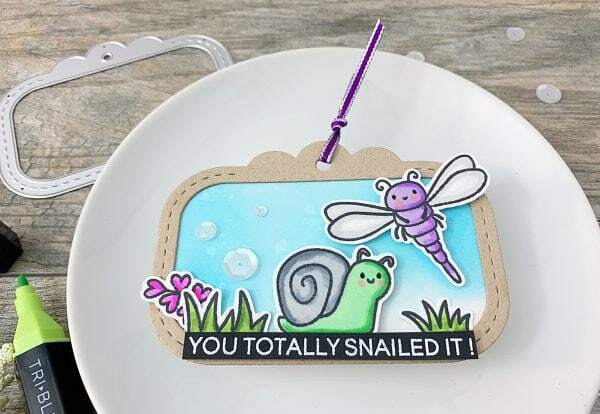 Flying by to say, you totally snailed it! Hello Heffy Doodlers! 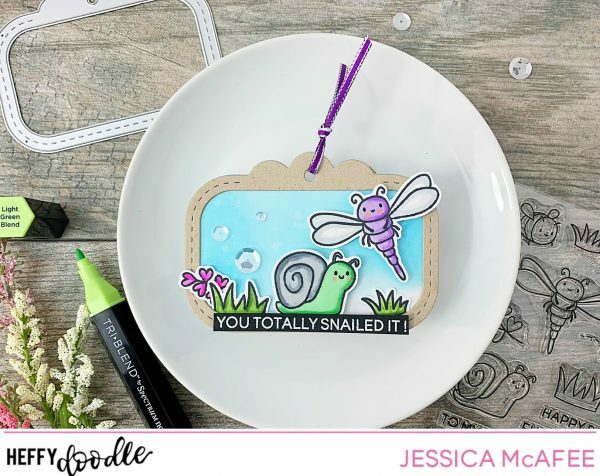 It’s Jessica here and today I’m sharing a little spring inspiration featuring Big Bug Hugs. Today my son said he can’t see his shadow so that means winter is over. Oh, how I wish that were true LOL. 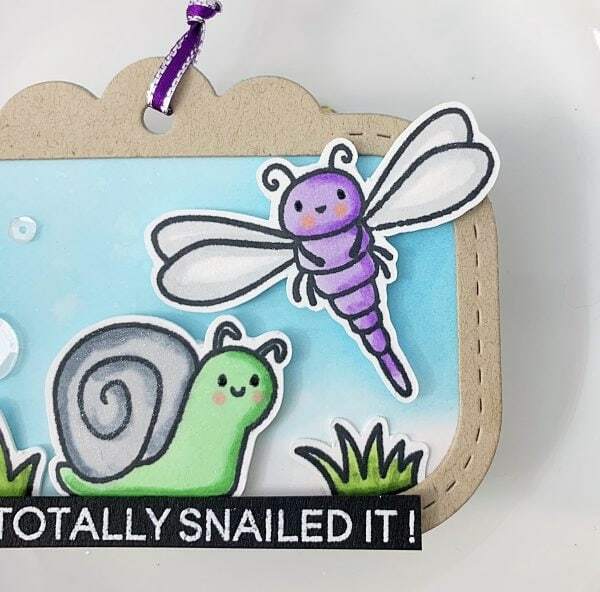 I started by die cutting the elements from the Tag Along set starting with the base using Bristol Smooth Cardstock. For the frame, I used kraft cardstock. To set the scene I added a sky effect by blending distress oxide ink in Broken China. Next, I stamped the main images from Big Bug Hugs using Memento Tuxedo Black Ink and Spectrum Noir TriBlend markers. To finish off the tag I added a white embossed sentiment strip, coordinating sequins and clear sparkle overlay.